[Update - Official] Exclusive: Xiaomi Users Are Getting Free 10GB Additional Data In Their Jio Accounts - AndroGuider | One Stop For The Techy You! BETTER TOGETHER. Celebrating the success of Xiaomi with 10GB data for all Jio-Xiaomi users. Click http://jio.com/r/PDcCIyE3 now. T&C apply. Reliance has quietly credited an additional 10GB high speed data to Jio subscribers who are using Xiaomi branded devices. There hasn't been any announcement of such a move from either the end of Reliance or Xiaomi, but we can confirm to you that this is indeed happening. The additional 10GB data is supposed to come into the play once the entire quota of daily high speed data has been consumed. For example, in case of Jio's Rs 399 plan, a user gets a daily quota (FuP limit) of 1GB for browsing the internet on fast 4G speeds. Post the consumption of the 1GB data, the internet connection speed is lowered to 128kbps. 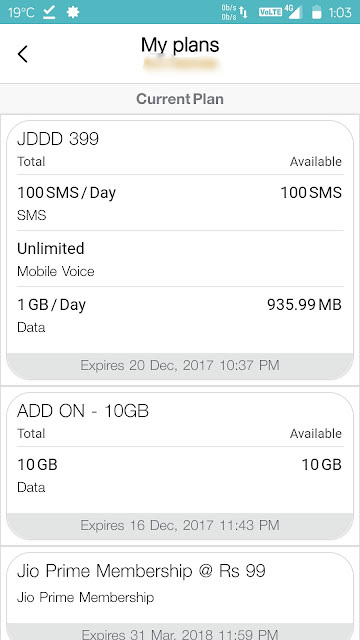 The 10GB add-on data will be utilised once the FuP limit has been exhausted. In case of the Rs 399 plan this means that the user will be able to avail high 4G speeds even after the 1GB daily quota is consumed. The internet speed won't be lowered until the additional 10GB data has been expended. The amount of data consumed after exceeding the daily FuP limit will be deducted from the additional 10GB data. After 2AM, the daily high speed balance of 1GB will be restored and the remaining additional data will be carried over. So say a Rs 399 plan user exhausts their 1GB data at 9PM, they will then make use of the 10GB add-on high speed data. The internet speed won't be lowered because the 10GB add-on data is being utilised. Let us consider that from 9PM to 2AM on the following day, the user consumes another 1GB data. This 1GB data will be deducted from the 10GB supplementary data. After 2AM, the daily 1GB limit will be reset and 9GB add-on data will be carried over. The 10GB surplus data is valid till December 16, 2017. Jio appears to be crediting this data to all Xiaomi users, irrespective of the plan they are using. 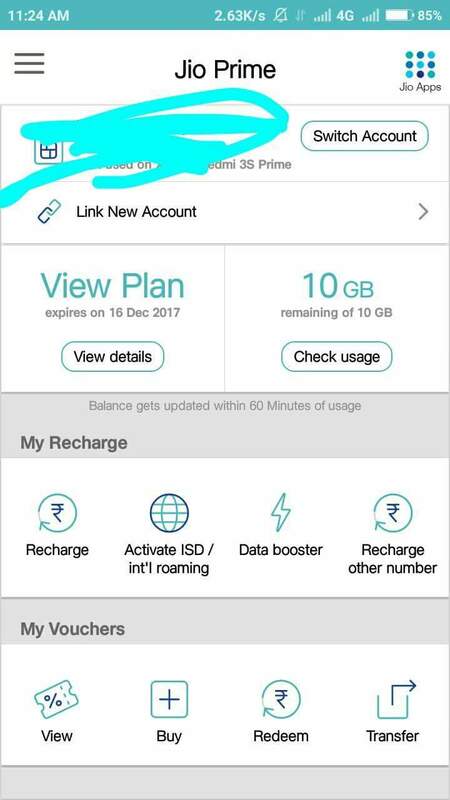 One of the Xiaomi users we checked with hadn't recharged his Jio account since five months but still got the 10GB supplementary data. We aren't sure whether this offer is applicable to all Xiaomi phones or just some of them. It is worth noting here that this offer is different than the 5GB add-ons offered by Xiaomi and Jio . You can use the MyJio app (Play Store | APK file) to check whether you have received the extra 10GB data. In the MyJio app, tap on the hamburger icon in the top left corner and select 'My plans'. If your Jio account has been credited with the 10GB data, you will see an "ADD ON" section listed under "Current Plan". Krittin Kalra is a 20 year old Android freak. Striving for passions, chasing down his dreams and living a life without regrets is his sole mantra. A bit moody, he also does custom ROM reviews for AndroGuider. Currently pursuing his B.Tech, he aspires to follow his heart. Get All The Latest Updates Delivered Straight To Your Inbox For Free! Copyright © AndroGuider | One Stop For The Techy You!